Trese Brothers is excited to announce that Star Traders RPG, our first mobile RPG, has landed on the App Store. 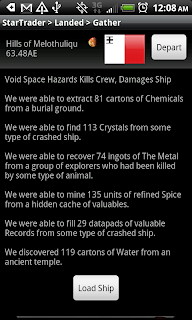 We hope that you will join us on the App Store and partake of the epic adventure in the Quadrant. The journey to port Star Traders RPG to the iPad, iPhone, and iPod touch has been a long one, even as the game continues to evolve and get weekly releases on the Android markets. We are excited to continue to develop both games together and to learn from a larger, merged communities of gamers. We'd like to thank all those that have supported us made this possible! As a small indie shop, Trese Brother's success is based on your support, ideas, contributions, and your willingness to share your enjoyment of our games with others. 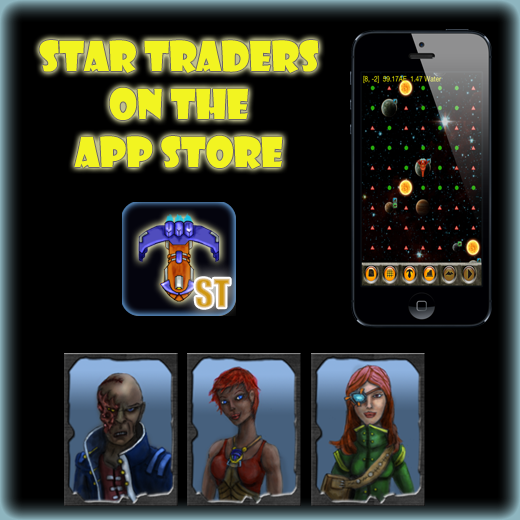 The Star Traders release on the App Store includes the same expansive universe map, hundreds of ships, all new officer art, and all the features that you love. The release is a universal app, allowing the same install and purchase (Elite, $1.99) to be shared across all your devices.